"THE 3 LEDERHOSEN" made music their profession over 25 years ago. They are a small formation of the famous "Dolomitenbanditen" from Austria. Bello, Gery and Peter, play the traditional folk music using a variety of instruments: Styrian harmonica, clarinet, guitar, saxophone, trumpet, bass, drums or alphorn - these are just a few instruments that dominates this trio from Tyrol. "THE 3 LEDERHOSEN" are a guarantee for a great atmosphere. 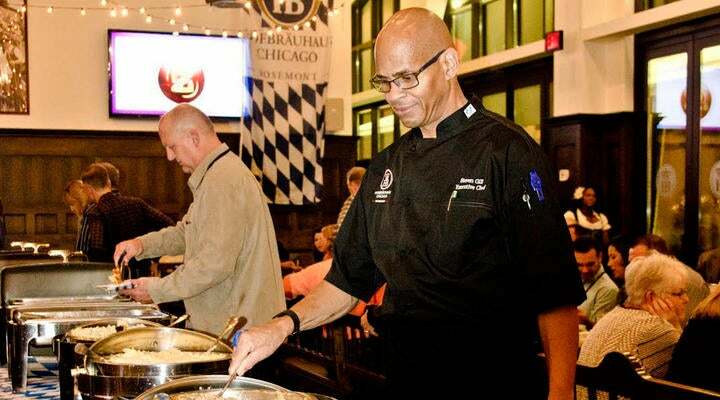 Whether Oktoberfest hits or rock and pop - the 3 musicians from Austria bring joy and mood - every day - only in the Hofbrauhaus CHICAGO!